A modern kitchen tap with good design and functionality, the Eurosmart Cosmopolitan is the perfect choice. 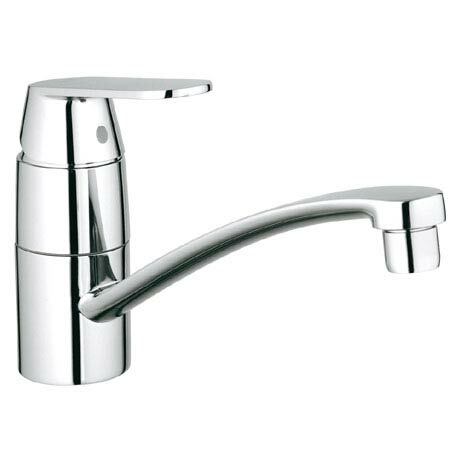 The tap features a GROHE SilkMove cartridge for smooth and effortless lever operation even after years of use. The 140° swivel spout range allows you to adjust the operating radius of the tap to the size of your basin without the spout hitting any surrounding cupboards. This stylish tap is manufactured using high grade materials and is finished with GROHE StarLight chrome coating that is scratch resistant and easy to clean. All Grohe kitchen taps come with a 5 year guarantee.